Detective Alex Cross must confront his most terrifying nemesis ever-and his own deepest fears-in this electrifying new thriller from the master of suspense, James Patterson. Alex Cross has never believed in vampires. But when two joggers are found slain in a manner that suggests a macabre ritual, he has to reconsider. Someone believes in vampires enough to have committed a series of bizarre murders that appear to be the work of one. Local police are horrified, and even the FBI is baffled. Cross takes on the case and plunges into a netherworld of secret clubs and role-players, a world full of poseurs and playactors-and someone demented enough to have crossed the line from dark ritual to real blood. At the same time, a lethal super-criminal from Cross's past known as the Mastermind is stalking him, taunting him, and threatening everything he holds dear. Cross has never been closer to defeat, or in greater danger. In a shocking conclusion, Alex Cross must survive a deadly confrontation-only to discover at last the awful secret of the Mastermind. 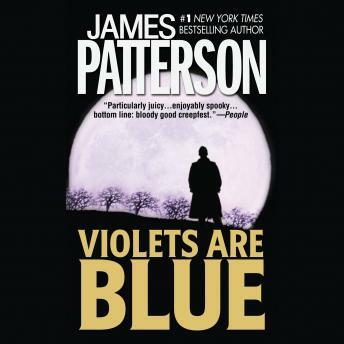 James Patterson has done it again! Couldn’t put it down! Was very interesting, but also a little too long in the unabridged version. I've read several Alex Cross novels and I sometimes get tired of hearing his life history over and over. This is one of Patterson's better Alex Cross novels. I've been disappointed by others but if you ever were an Alex Cross fan, you've got to read this one. Another Alex Cross story not much different than all the other Cross books. Not the best of the series, but still a great read/listen. Excellent book! Very suspenseful. You can't wait to get back in the car to listen to more. As with most James Patterson, I loved the story line, the characters, and the twists. Most importantly to any audio book, the reader was easy to listen to and provided a positive contribution to the overall experience.